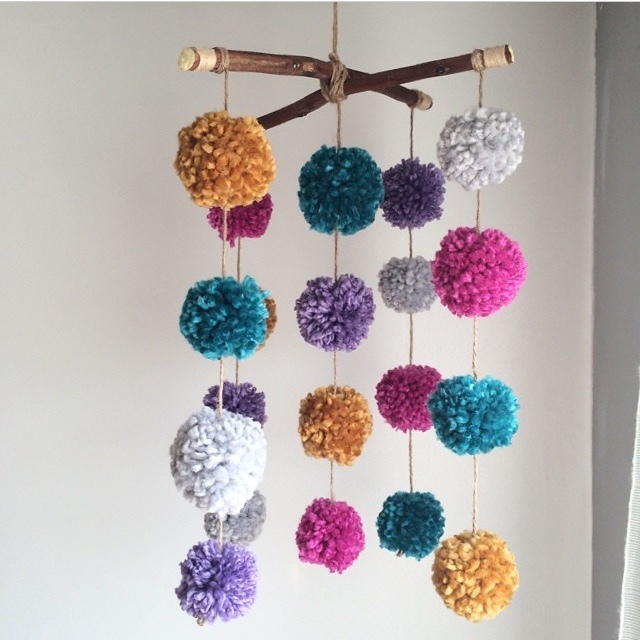 Who doesn’t love a pom pom, they are just flippin’ cool balls of fluffiness, they’re quick and easy to make and they look awesome. 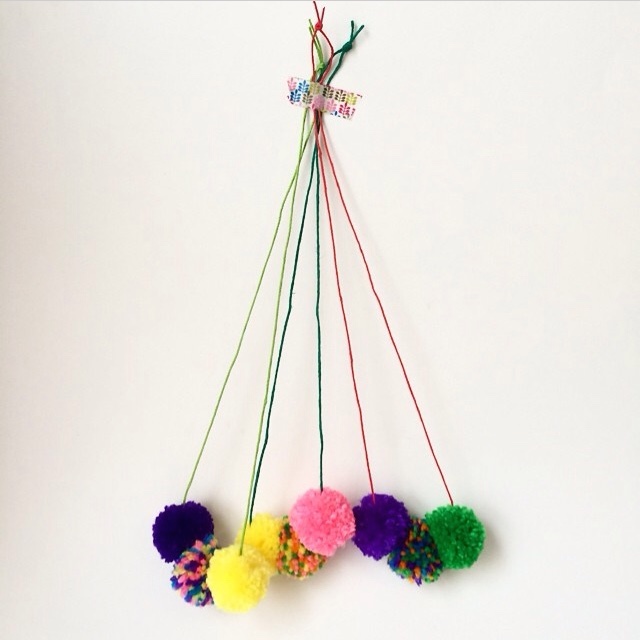 I remember when I was young I was obsessed with them I used to make them with my grandma all the time, but I have a pretty cool story about pom poms that I would like to share with you, why I think they are so special. There is a lady I think of every time I make a pom pom, I met her when I was working on an aged persons inpatient psychiatric unit, she was a patient there and she had a diagnosis of Schizophrenia, paranoid type. Some people with schizophrenia can experience delusions (persistent false beliefs), she had paranoid delusions. Now you have to understand that for someone who hasn’t experienced mental illness that can sound ridiculous, but when my patients have these delusions (even if they seem totally obscene – I am the queen of England for instance, they are 100% real to the patient, so imagine how potentially frustrating or scary that could be to someone). Anyway this ladies paranoid delusion was that her family and the hospital were poisoning her meals (just imagine that for a second, genuinely feeling like your family are trying to poison you, how sad that would make you and scared to eat everything!). This, as you can imagine had let to a serious decline in her physical health subsequent to malnutrition. Even on the ward, meal times were very distressing for her because she didn’t want to eat. She was also completely blind, very frail, had poor mobility and hard of hearing. This lady caused a lot of disruption to the other patients on the ward too, she would shout out a lot, yelling and yelling whenever she felt her needs weren’t met or she was worried about her food, this wasn’t helpful for the other patients who would become distressed at her distress, it wasn’t a nice environment when she was yelling and some of the patients yelled back at her too. The staff were at a loss as to what to do with her to manage her distress. She wasn’t engaged in a lot of the group activities because of her blindness and extremely poor mobility (she required assistance even to walk with a four wheel frame) which both made participation very difficult. One day, I was planning a small sensory room (I will write a post about that one day – its a therapeutic tool that Occupational Therapists use), I wanted to make a wall of pom poms for people to run their hands along, I needed a lot of pom poms! It got me thinking, most people know how to make a pom pom, certainly a lot of people of that generation do and I thought I’m sure she could do it. So I made a template, started it off and took it to her. Well that little old lady turned our psychiatric ward into her own little cottage industry, it was amazing. She was pumping out pom poms like no mans business! She even enlisted the help of two other patients to help her with the parts she couldn’t do, so the three of them would sit there chatting all day. Come meal times the nurses would sit next to her and feed her whilst she was still pom pomming away. The difference in her was seen immediately, no more shouting, engaged in activity all day, smiling, talking, and enjoying herself. Eating again she put on much needed weight and slowly slowly she got better. Its moments like those that make me so proud of my profession. Working in mental health is not easy, not at all, but it can be so rewarding and I am blessed to be able to help others and so grateful to all the patients I meet that share with me what is a very vulnerable time in their lives. 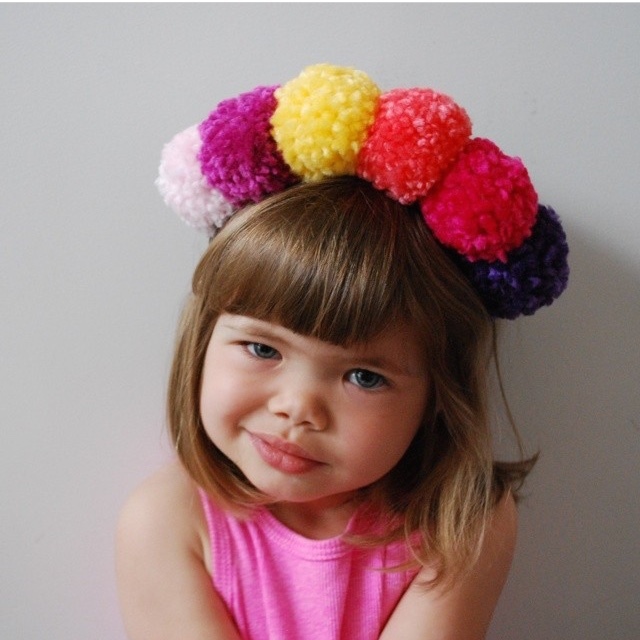 Every time I see a pompom I think of that lady, so if you make a pom pom, put it on Instagram and tag me in it, I would love to see all your colourful creations! Also if you weren’t already inspired enough heres some pom pom inspiration for you all because I love pictures of pom poms and you all should too! Big thanks to @littleknittythings for the following images. 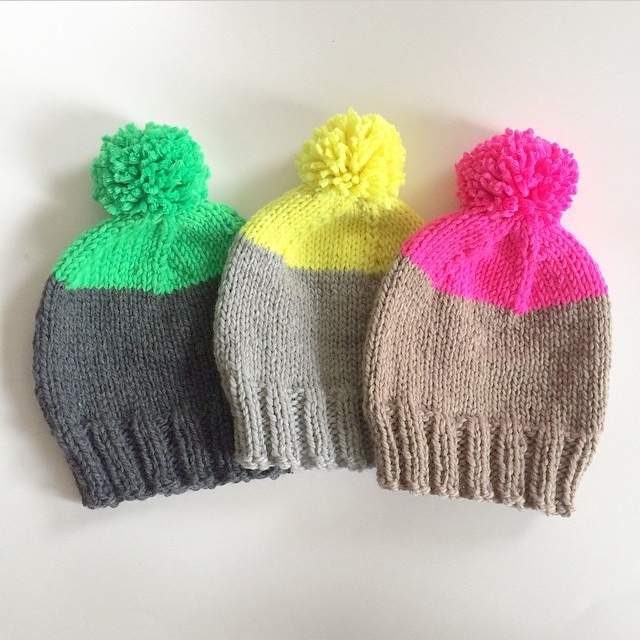 If you haven’t come across her, Melanie’s a Brooklyn gal and she makes some seriously cool pom pom items and heaps of gorgeous baby knits! PomPom on Melanie! That’s a beautiful and inspiring story. Thanks so much for sharing! Hi just found your blog via looking at Moreland council website for kinder info for work; saw the Coburg wool/ yarn show promo; went to the hand knitters guild, saw your comment …ended up here! Quite excited about your pom pom story, we have a lady who is vision impaired who comes to craft group sometimes, & she is looking for craft ideas that she can do. As an art teacher/ special ed teacher obsessed with sewing/ knitting/ crafting I have been trying to think of ideas, and so took some pom pom tools & wool along to craft group Wednesday night ( but it was a very cold & wet night so there were only 2 of us brave enough to face the elements that night!). But I think pom pom making could definitely work for her! Will post some pics on my blog when we make some!